Teach SF Kids® and Watch Your Life Soar! There are few certainties in life, but if you know how to dance, and you love working with children then the sky’s the limit for your Street Fit® career. Kids are special: they pick things up quickly; they buzz with energy and enthusiasm; they’re eager to learn and, best of all, they are still in love with life. Add Street Fit Kids® to your repertoire and your earning potential will rocket as you gain access to the lucrative schools market, teaching children from 4-16 years. Even if you are happy to focus on adult classes, for a little extra investment Street Fit Kids® gives you the option of offering the occasional kids’ class on the side. Spread the joy of SF Kids® and reap the rewards! Teaching kids to dance is about so much more than enhancing your own lifestyle. By keeping a generation on its toes and prolonging the love of movement you are playing a critical role in reversing the trend towards a society limited by ill-health and obesity. Street Fit® are committed to giving kids the start in life they deserve and changing lives for the better. By joining Street Fit Kids®, you can add your name to our cause. In return you get the exclusive right to use our unique brand name and logo to help supercharge your career. Never worked in a school? Just like any new market, the education sector has its own rules, procedures and etiquette. Fortunately for you, we have condensed all you need to know into a handy eBook which you will receive free as part of your membership. 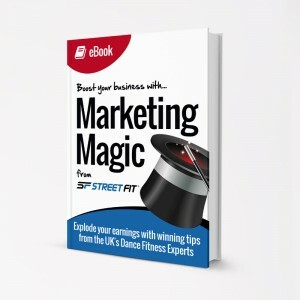 ‘Cracking the Education Market’ will give you the edge over your competitors and ensure you hit the ground running, ready to bust those moves in the schoolyard. 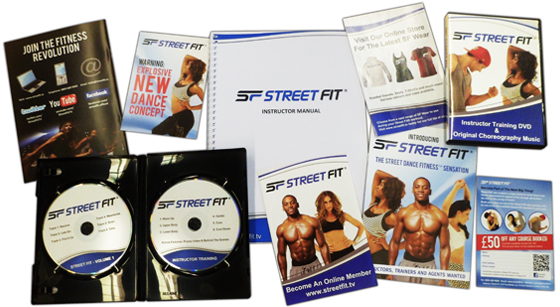 Street Fit Kids® is available to all Street Fit® Online Members for £175 a year. Privileged permission to use the “SF KIDS” logo and the ‘Street Fit Kids®’ name to promote your classes – our stamp of quality. 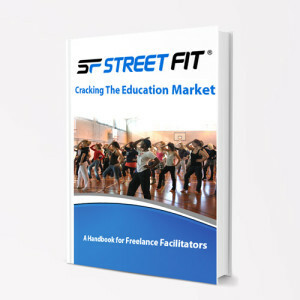 Help us shape the future of dance – with Street Fit Kids®! To obtain the SF Kids Licence, firstly you must BECOME A STREET FIT INSTRUCTOR by completing any of the dates below. If you are a Licenced Street Fit intructor you can go ahead and purchase your SF Kids Licence from our Street Fit Shop.